Real Life Assignments: What's in the bag? I’m a Nikon man - always have been. You know what they say: “Canon are designed by engineers, Nikon by photographers” I think I understand what that means, I’ve always found Nikon’s more “user friendly” somehow. 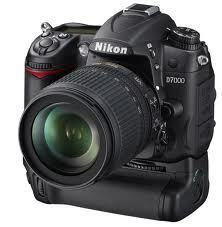 Anyway, I use the D700 complete with battery grip and it’s the best camera I’ve ever owned bar none. Maybe the D3 has some better features - probably it does - but right now I’m more than happy with this. I also recently bought a D5100 as my second body, replacing an old and much abused D200 which was great until I got the D700 and realised how poor the high ISO on the D200 really was! This little D5100 is great. It’s light, small and easy to use. I aim to use it on the hill and as my back-up. A very sharp and pretty light for a lens of this focal length because it has a lot of plastic in it. I don’t have a problem with that but I know some gear reviewers can get scathing about the build quality. No problems yet though and the glass quality is excellent. 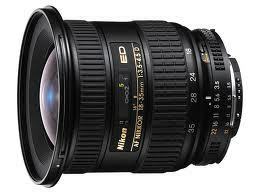 This is a “must-have” lens for any sports photographer. 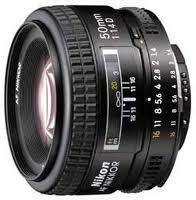 In fact almost all pros who use Nikon have one of these in one incarnation or another. 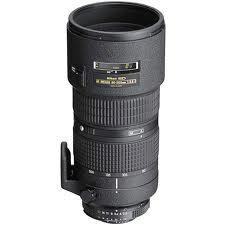 The latest version is the 70-200 VRll which I’m told is awesomly sharp but hang on, it costs nearly £1600! I would still buy one if there was no alternative but there is - these old style nonVR 80-200’s are available for around £800 new and they are faster, sharper and built to last. And since I’m shooting at f2.8 with a D700 which has the same amazing high ISO quality as the D3, I don’t need VR - I just shoot at 2000 ISO. 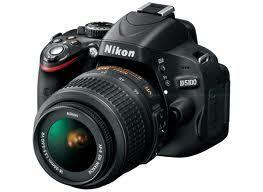 If you shoot action and use Nikon, buy one. Just acquired the Nikon F3.5/5.6 AF-s G 28-300 VRll ! I've not had a chance to use it much yet but I'm looking forward to using this as my "go to" event lens. You know what I mean? You go to an event, see lots of stuff going on right in front of you and then right over there and then back over there and you spend time frantically switching between camera bodies or changing lenses to grab it all! Not any more. This lens will do it all. OK, it's not fast and it's not the sharpest glass in the bag - but reviews have been favourable. It's certainly sharp enough for general use and I have a D700 to stick it on so I can shoot 1000 ISO without worrying about it if I have to. Mind you, it's a big, heavy beast - I'm not going to want to be carrying much else around with me - a flash and that's about it I guess. This is the only DX lens I own. It’s a “one size-fits all” approach because the 18-200 range gives me wide angle to good telephoto in one lens with VR and sharp ED glass. The focal range on a DX is equivalent to 27-300 on FX or full frame, so a great range. 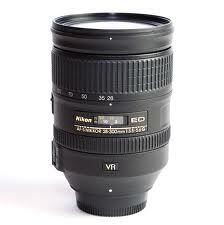 I use this lens on the D5100 and take it on the hill with me and it does everything. I shoot events with this combination and it’s all I have to carry - just stick a flash gun on the top and away we go, don’t even need to take a camera bag, just stick a spare battery and some cards in my pocket. Brilliant. This is my secret weapon! It costs £224 new and weighs practically nothing. If I stick it on the D5100 I have a 75mm focal length. But the real secret is the depth of field. At f1.4 you get nothing! I mean it’s just millemeters and means you can get some amazing creative short DOF pictures with this thing and there’s more. When it gets dark (or go inside), with a D700 on high ISO you can hand hold this at f1.4 and practically shoot at night. I stick one of these in my pocket on most jobs, just in case the flash stops working. Everyone should have a 50mm f1.4 just for the fun of it. 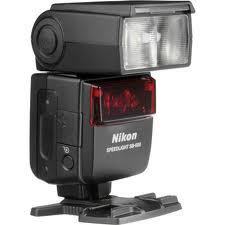 This is a brilliant flash gun. I’ve been using one for years and it’s never let me down, has plenty of punch, it’s easy to use and re-charges really fast. 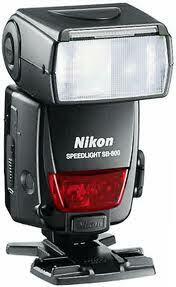 I just don’t have any problems with this speedlight. I could spend the extra money on a new SB900 or even the new replacement SB700 but I can’t think of a good reason to - this little gun does it all. 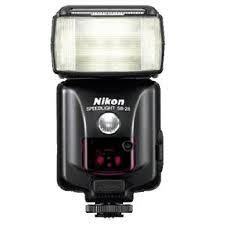 However, when I'm using Nikon’s infra-red CLS off camera flash system I need a master flash gun. Up to now I've always used the pop-up on the D700 but that has direction limitations (you can't swivel it to aim it at the slave flash). So I have finally got myself an SB800 to act as the master flash (the SB600 can’t do that job). It's been superseded by the latest Nikon SB 900 and 910 models so there's plenty of these available on Ebay and the like at reasonable prices. The SB900 is an awesome and powerful beast - but then so is the SB800! Nikon SB28 This is a bit off a throw-back to the film camera days but I use one of these fantastic flashguns as an off camera unit as well as my SB600/SB800 combo. They are very powerful and fast charging, with full manual control, which I use off-camera. You can pick these up used for about £80, which is a bargain. I think I might get a couple more. 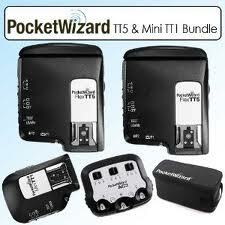 Just got the new Pocket Wizard Mini TT1 and Flex TT5 system with the AC3 Controller. Brilliant! This is a game-changer for me. I've been muddling along with those naff Chinese Ebay triggers for a couple of years and just getting so hacked off with their cheap, plastic, crappy, unreliability. Oh, they work fine - when they work - as long you don't want to do anything tricky, like use them outdoors ('cos they are pretty hit or miss over distance and seem to have a mind of their own about when and if they will trigger). Or set a sync speed higher than 1/160 (which they can't cope with). Or transport them - 'cos the batteries fall out or dislodge etc, etc. But then again they are super cheap. Anyhow - I've been waiting patiently for the Nikon PW system and now here it is. And it's fantastic. 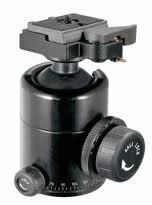 100% reliability all the way up to 1/8000 sync speed right out of the box, all controllable from the camera via the AC3 unit. I love it. My trusty Manfrotto 190 Series tripod with a Manfrotto Pro Ball head has been with me around the world for nearly 20 years now and shows no sign of giving up. It’s spent weeks at a time planted on windsurfing beaches, getting sandblasted and salt sprayed, it’s been up mountains, through rivers and god knows what else…buy a decent tripod and it’ll be your best friend. Lightweight tripods are rubbish, they don’t do their job, they sway around in the breeze and you get blurry pictures just when you were hoping the tripod was going to fix it for you! Oh, and I hate pan and tilt heads! I only use balls. And one more thing; buy one with a quick release plate, you’ll never be sorry. 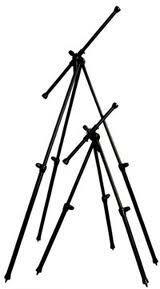 I’ve also got one of these giant Benbo tripods. Amazing bit of kit. 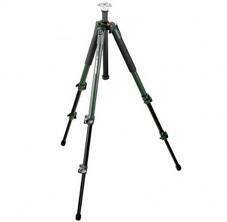 It will go into any position, any angle, from a worms eye view to about 3 meters high. I use it for commercial jobs and studio work. Weighs a ton and handles like a piece of scaffolding but nothing else works quite like it! I use Lee filters because they are the best for optical quality - mind you at this price they should be; £195 for a polarizer. Ouch! However, Lee filters are properly neutral, not like cheaper makes where you get an obvious magenta or purple colour caste over your skies. Actually I hardly ever use filters these days because I find that as long as I can get a good dynamic range captured in-camera, and don’t blow out any highlights I can use the digital filters in Adobe Lightroom to better effect. I do use the polarizer with damp foliage and rocks, to cut through the glare and get better colour. 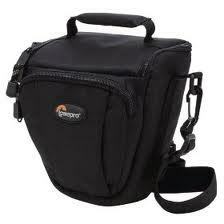 I use a variety of LowePro bags which I love. The main-stay is the Trail pack which is outfitted with a larger lens bag to hold the big telephoto with the lens hood attached. This is essentially a waist pack with a heavy duty, padded shoulder harness that I added - I got it off my old AW Trekker. I use this combo for events and locations where I’m on the move a lot as it leaves my hands free and I can access everything really fast. After that, I use the Orion a lot and I have a system that works really well for me; I stick the Orion full of camera gear inside my regular backpack which has bottom zip access (I’ll put an illustration up here soon). Then I can stuff all my hill gear in the top of the rucksack and access my cameras through the bottom zip. 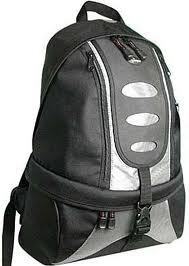 It works because both the Orion and my rucksack both have bottom zip access which line up nicely together. Next up is the Top Loader. 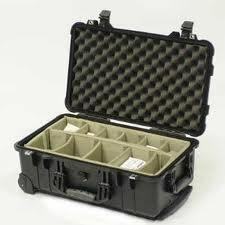 This is what I stick my D5100 combo into for the hill when i only want a single camera/lens with me. The Top Loader goes on the front of my rucksack on the waist strap and is easy to access all day long. I wouldn’t put a heavy camera in here like that but the D5100 is Ok and I use a couple of support straps to keep it in place and prevent it rolling around when I’m walking - I’ll do a shot of it soon. Also, I have an original Trekker AW in green, remember those? I was sent it by LowePro when it first came out in the UK, to do a review of it in, well let me see now, 1991 I think. It’s still going strong after 20 years of hard abuse except the zip has started to fail. 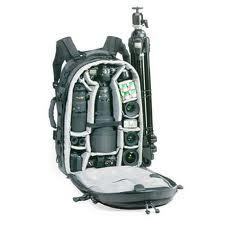 I don’t use it all that often now - I don’t really want to carry that much kit around on my back! But it’s still there when I need it. The ubiquitous Peli 1510 roller box Waterproof to oh, several meters probably, equipped with a pressure valve, pull out handle and roller wheels and built like it was meant for driving a tank over, this box is ready to travel anywhere. It’s designed to be just the right size for airline hand luggage and I got mine from those lovely people at Aquapac, who also supply all my water proof camera bags - (see seperate feature coming soon). This box has saved me so much back pain! Now I just roll my kit in and out of airports and train stations - excellent. Labels: camera bags, cameras, equipment, flash, gear, kit, lens, nikon, photography, tripods, what gear do you use?